Billions of plastic pieces wash up on our beaches each year. For most, they are a guilt-laden byproduct of modern life. For Hungarian artist Balázs Csizik, they are a source of inspiration. 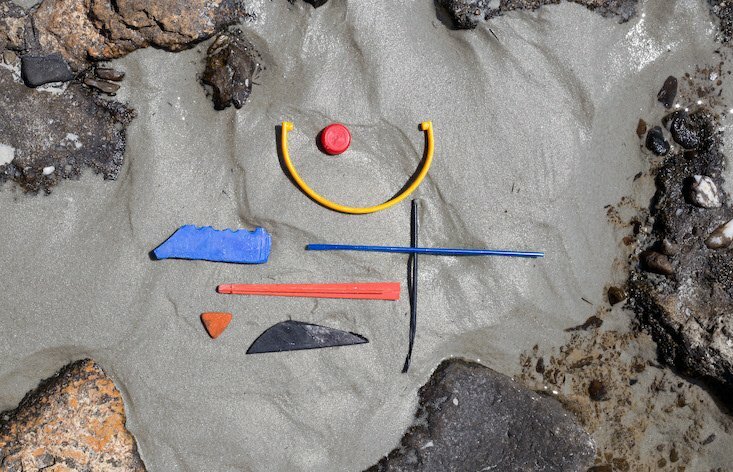 He uses the brightly-coloured shapes littered across the shore to create small works dedicated to Suprematist masters such as Kazimir Malevich. Each composition is beautiful in itself, but comes with a haunting reminder of one of the biggest challenges facing humanity today. After creating each image, Csizik gathers the plastic he has found to dispose of it properly — although for now his efforts remain just one drop in a much larger ocean.